Are you in the market for a used car? When you take your time and look around, you can find some really nice used vehicles that are both dependable and that still look great. Once you determine what type of vehicle suits your needs the best, you can begin researching the different features offered, check for recalls and get an idea of the value of the type of vehicle you’re interested in based on current condition and age. When buying a used car, it’s usually best to look for vehicles less than ten years old, unless you’re buying one to restore. One good reason to stick with the newer models is that over the last few years, manufacturers have made a lot of advancements that help to keep you safer and make your driving experience more enjoyable. You also run a higher risk of having major problems when you buy older vehicles. Below are a few more tips for buying a used car that can help you get a good deal. Always set your budget before you go car shopping but don’t be too quick to jump if you run across a really good deal. A cheap vehicle is not a good buy if you end up spending hundreds of dollars on repairs, not to mention all the aggravation you’ll go through when you get stranded somewhere. If the deal sounds too good to be true, proceed with caution. This is one of the advantages of buying from a reliable dealership. Even the used cars have undergone inspections to make sure they’re in good shape to resale, so you know there is nothing major wrong with them. Toyota’s are one of the most popular used cars sold today because they are known for their dependability. There’re also easier to find original equipment parts for and that helps to make them even more popular. 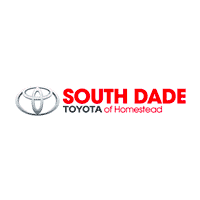 We have a good selection of used Toyotas to choose from here at South Dade Toyota. When you’re ready to start shopping, stop by and look around or shop online. Before you buy a used vehicle, take a few minutes to walk around and inspect it inside and out. Doing a physical inspection will give you a good idea of whether the vehicle was taken care of properly and that will help you determine if it’s worth the asking price. Of course, you can’t tell how well the vehicle will run by looking it, so take it for a test drive. While you’re out for a spin, have your mechanic look the vehicle over to see if he can find any problems that might not be obvious to the untrained eye. When searching for a used car, there are more options available today than ever before. However, you do have to be careful to ensure you’re getting a good deal. Following these tips can help you avoid buyer’s remorse by ensuring you get a good used car you can depend on.